The website is still in the “beta” phase and will be improved over the coming months. We invite readers to try out the tools and comment on them by clicking “Learn More” below. All comments – good and bad – are welcome. 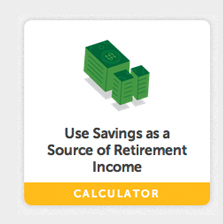 The retirement income calculator strikes me as difficult to use. I spent several minutes with it and couldn’t figure it out. Maybe it’s me? Please get rid of the Chrome and Safari warning, or at least allow us to dismiss it. I don’t want to use them. I second Maynard’s comment about Chrome and Safari. Internet Explorer is the most common, yet you don’t allow it? Ridiculous! The browser warning page should contain the notation that an escape can be used to go forward using your existing browser. I found this out by the old “try stuff and it might work” method. But then again, it seems you must do that everytime a page loads. Did these people not get the memo about what browsers are popularly in use by most people?? I agree – we should be able to at least try the tools with other browsers. I have to agree that the calculator is confusing to use. I got sidetracked by the check marks beside each topic – thought you needed to click them! Obvious things that need fixing: Some of the settings, like current age, don’t seem to do anything. On page 2 of the calculator, several of the fields allow you to put in negative amounts. Also, a weird “$NaN” amount showed up below the calculated amount for what you need from saving. Lots of other possible comments. You’re making it more difficult than it needs to be. And ditto with the Chrome and Safari; don’t be silly! I like the calculator tool “make a budget in 3 minutes.” It help me a lot, because I am very bad with money management. It is very useful for me, thanks for this great tool. And just a suggestion, please remove the Chrome and Safari download notice. It’s so annoying. Thanks. This is terrible! I tried to use the calculator in Internet Explorer. The pop-up makes me download Chrome and I don’t want to. There is no option to get rid of the pop-up, so now I can’t even access the calculator. This is really flawed. Conceptually, I applaud the effort. However, I have deep concerns about the verbiage “inflation-proof” annuity. 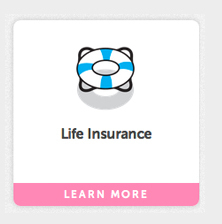 That implies a very strong guarantee that I don’t think even the most aggressive annuity sales rep would use. I am not a fan of income annuities in general, but suggesting inflation-proof is dangerous. The biggest inflationary threat to retirees is likely to be health care expenses. Inflation in this category is not included in official measurements of inflation. Witness the increase cost of Medicare premiums, while at the same time Social Security income remains flat. This fact alone runs counter to the tools description of Social Security being an inflation-proof annuity. These are excellent comments. I asked Steve Sass, one of the website’s creators (and my coworker), to respond. As for not-so-popular Chrome and Safari: “They were most amenable to the types of tools we use. In the future, we do intend to offer this on other more popular browsers,” Steve said. The calculator must be clear at every step regaring if the entered amounts are annual or monthly and if the outputs are annual or monthly. This was unclear at a number of points. Drop the Chrome and Safari nags that require an ‘Esc’ every page. Medical insurance makes it looks like consumers have choices–if you have employer-sponsored coverage the perception is that we have very little choice on insurance options. Good point, Anne D.! We certainly don’t want to give this impression, and will clarify the text in subsequent releases. I like the 3 minute budget calculator. 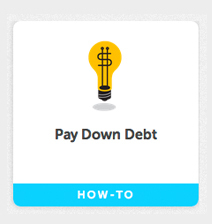 And the related calculator that helps you think of ways to cut back on spending. Both are well conceptualized. Does it work for Firefox? I tried the budgeting tool, but it did not work for Firefox. No, not yet. But Google Chrome is free to download and takes less than 5 minutes to install: https://www.google.com/intl/en/chrome/browser/.